Strong Hand BuildPro TMB52238 Welding Table 38 In. x 22 In. 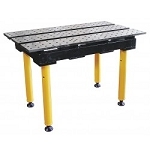 Strong Hand BuildPro TMA52238 Welding Table 38 In. x 22 In. Strong Hand BuildPro TMQB52238 Welding Table 38 In. x 22 In. 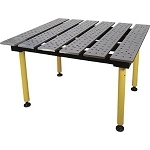 Strong Hand BuildPro TMQA52238 Welding Table 38 In. x 22 In. 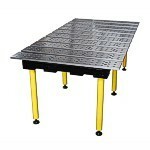 Strong Hand BuildPro TM74738 Aluminum Welding Table, 47 x 38 In.